Louise Eastwood was re-elected Uckfield Town Mayor last night (May 8) at the annual meeting of the town council. Cllr Eastwood, Trust Independent, Uckfield North, has now served as town mayor on more occasions than any other person. Her current term of office began after the 2015 elections. 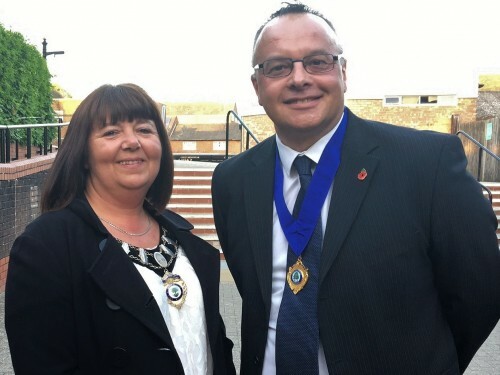 Often, Uckfield mayors serve for a three-year period before standing down and this is the second time that Cllr Eastwood has served the town for a three-year period. She was first elected a town councillor in 1998. As town mayor, she also chairs the town council. Cllr Duncan Bennett, Trust Independent, New Town, was re-elected deputy town mayor and is vice-chairman of the town council. There were no other nominations for the posts. Uckfield Town Council came into being in 1974 after a reorganisation of local government.